Do you ever have the mentality that if you don’t look at something, then it doesn’t exist? Yes, definitely avoidance at it’s best. You convince yourself that you’re eating good, healthy foods. That you aren’t taking in more energy than your expelling, but yet you aren’t losing weight and find that you are actually gaining. When working with someone who isn’t seeing the result they think they should be, the first question I ask is Are you logging your food? and if so, are you 100% you are doing it accurately? Many times the answer is no. I totally get it. That feeling that if you don’t really look at what you’re eating, it doesn’t count. I’ve totally been guilty at logging my food into my MyFitnessPal app and underestimating my consumption. I mean, I only MEANT to eat 1 tbsp of cashew butter… I don’t even know how the other 3 tbsp ended up in my mouth!!! The problem with this is… when you underestimate, or even completely omit, what you’re eating, you’re just wasting your time even logging it. You need to get honest with yourself. I promise you… even though you may refuse to look at those “invisible calories”, your body is very aware excess energy is coming in. If you aren’t logging your food, start logging it. If you are and aren’t logging everything, start getting REAL. I personally have a love/hate with logging food, I’ve read tons of opinions and research on it. Bottom line, it does work. Just the simple act of honestly and accurately recording everything you consume can lead you to eat cleaner, eat less, lose weight, and feel better. The honestly and accurately part is the key here. It can be hard to start logging you food. Even more difficult if you don’t like what you see. But like any other new habit, stick with it. Commit to logging your food for a month. If you miss a day or two, forgive yourself and jump right back on it. So you splurged and had the creamy, not-so-good for you, high calorie/high fat/high additive sauce on your salad or pasta. OWN IT on your log, because your body already owns it either way. Being aware of what you’re working with is the only way to create real change. I love MyFitnessPal. I’ve been using it for years. I used it when I was 260+ pounds and I use it now. I’ve worked with clients who hate digital food logging and prefer to use a notebook or even their day-planner and they absolutely rock it with consistency. The point is to find something you will actually use. There are plenty of options out there. If you still don’t know where to start, grab the free Food Logging sheet below. This helps to not only take action, but to also make sure you aren’t cutting too far back. I am one of those people that if I hit a goal time after time, I like to raise the bar. It’s not a great mindset to have when eating. 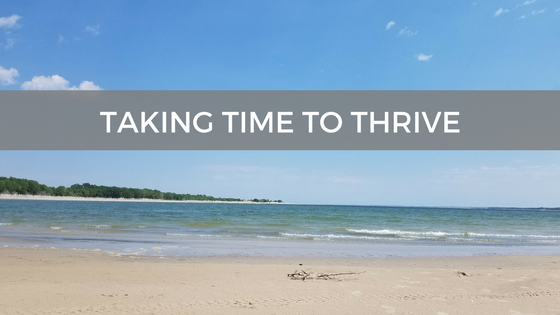 Taking a few minutes every month or few months is a great way to see if you are still overall on track to your goal or if things need to be tweaked. Remember, not eating enough can be just as detrimental in weight loss as eating too much. If you are an emotional eater like me, you will probably want to look at your emotional state when you eat. At least initially. There are many different ways to record your food intake depending on your situation and your goals. Here’s a great article I wrote on the working details with logging food if you need guidance. That bite of cheesecake you stole from your kid’s plate, the smoothie you had after your workout, the handful of nuts you grabbed at the office meeting, log it! If you consume it, you log it. If you aren’t 100% how much it was or even what it really was, at least estimate. This is where the calories really can add up and leave you baffled if you aren’t recording it. Yes, this is so important, it’s in here twice. Seriously, don’t give up! Your food logging may not be perfect and that’s okay. The important thing is that you do it, and if you miss, you get right back on it. No judgement, no shame, just log it! Being a member of Weight Watchers. Though I haven’t consistently tracked for over a year. I need to get real. My body knows whether it’s on paper or not.